Price from 39.000 ISK PER PERSON. This is the ultimate adventure flight Iceland tour of the stunning nature surrounding Reykjavík (English translation: Smoky Bay). The aircraft is a two-seater, slow flying “Ultralight” aircraft, able to fly low over the ground. The wings are overhead and the windows open fully, giving you a perfectly unhindered view of the ground below. Be prepared for an unparalleled photographic view! Your aerial view: the vast Atlantic ocean, Reykjavík city and it’s tiny islands, lava fields and the geothermal area producing the smoke giving Reykjavík it’s name. You will explore: the rugged mountains and lava formations of the bay, coastline skimming with possible seal sightings, up-close mountain soaring among birds. Adrenaline option: optional aerobatic stomach-churning moves (if that’s your cup of tea). If conditions allow you might get to take the wheel (joystick, actually). We recommend this Adventure flight as a great way to experience the beauty of Reykjavík, Iceland from above. From a unique point of view, with a local free flying enthusiast. Att. : the Ultralight is a two seater aircraft, for just you and your pilot, making each experience totally personalised. Tour Duration: 15-20 min. Adventure flight. 60-90 min. including transport from Reykjavík. Departure time: Pick up, if selected, starts 30 min. before your booked time. Limits: Under 18 years need parents written permission. Weight: 20 – 110 kg. First lesson of aviation: due to weather changes we can never guarantee a flight. If we need to cancel your booking because of weather you can either re-book for another try or choose one of our other adventure tours/flights. Due to how fast the weather changes in Iceland we can never guarantee a flight. 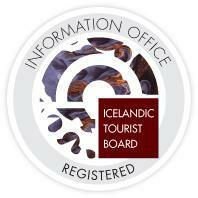 If we do not manage to get you airborne during your stay in Iceland, you will receive a 100% refund. An Ultralight Adventure Flight is a legitimate Introductory flight operated by licensed Ultralight Instructor pilots from the Reykjavík Free Flying Club. Wear comfortable clothes and bring your camera if you like.